There has been continuing coverage of the lack of opportunities and recognition for black actors and actresses in Hollywood while the industry struggles to save face. While diversity in entertainment is an immensely important conversation to have, other minorities, like Asian folks, have been left out too. And though I am a true Marvel fan at heart, this is one area where the entertainment company has truly missed the mark. Marvel has been on a hot streak for years, first becoming a feature film juggernaut, and then expanding that power into small screen endeavors. Their brilliance is best exemplified in its collection of Netflix shows. Daredevil is in its second season. Jessica Jones had a successful first run. And Luke Cage is set to premiere later this year. And while each of these shows is a triumph for diversity, they all work in some way to reinforce stereotypes. This trend is continuing with their next series, Iron Fist. Iron Fist is the story of a white man who loses his family during a vacation, yet stumbles upon the ancient hidden city of Kun Lun. He is trained in the martial arts, and of course, ends up being bestowed the mantle of Iron Fist, the mightiest martial artist on the world. We cannot be sure if the forthcoming series will follow that origin story to the T, but the most obvious issue here is that the show’s title character is a white man who becomes a martial arts master. 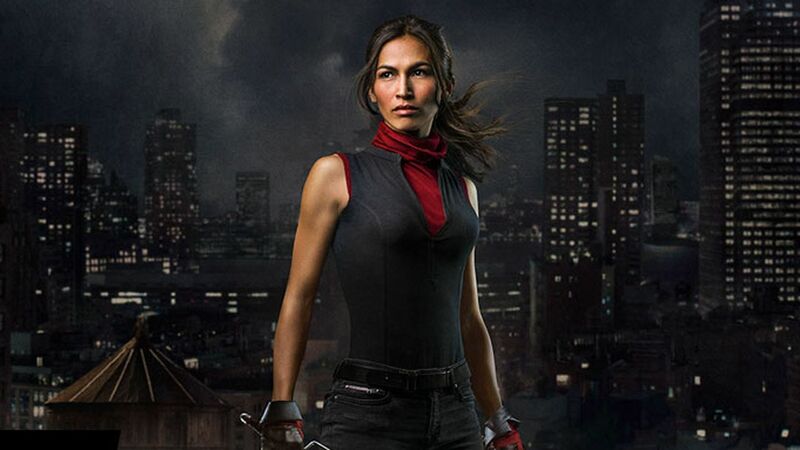 Then there is the show’s second cast role, Colleen Wing, an Asian woman and martial artist. Just that quickly we have blatant examples of appropriation and stereotyping. Add to that the role of Elektra, another Asian woman and martial artist on Daredevil, and you can see a pattern forming. On the surface, this looks like Marvel is just another racist entertainment company. However, Marvel faces challenges that many other entertainment companies don’t. The vast majority of its characters are from comic books that were started decades ago, when many racist and prejudiced attitudes were overt and accepted on a grand scale. Luke Cage being a black ex-con character is a lot more problematic now that it was when the comic debuted. But comic book canon is no excuse. Because things have changed so much, the onus is now on Marvel to modernize its universe as it brings these characters to life on our screens. Due to its enormous monetary power, Marvel is uniquely positioned to broaden the opportunities for Asian American actors by showing that Asian people are more than ninjas (just like not all super heroes have to be white men). With their characters, they’ve already shown they understand that Black people can be varied and nuanced. They’ve shown they know better than to depict women as fitting squarely into a few neat boxes. It is time that Marvel showed that same cognizance for other groups. While many of us black nerds have been focused on getting diverse representations of ourselves throughout the mainstream entertainment industry, it’s time we also focus on how other marginalized groups are erased, stereotyped, and excluded from film and television. Without broadening our focus, we can’t expect for any of us to really see the representational justice we deserve.